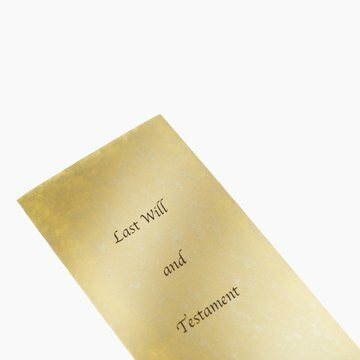 Section 31-32 states that a will caveat can be entered at the time of application to probate, or at any time within the next three years. But there are statutory exceptions to the time limitation. If a person who is entitled to file a caveat is unable to do so during the three years, his three-year limitation period begins when he gains the ability to file. People who are minors, insane or in prison, for example, are unable to file will caveats until they come of age, are no longer legally insane or are no longer imprisoned. The North Carolina statute contains special rules for wills filed before May 1, 1951. Caveats to those wills had to be filed within seven years of the date of probate, or within three years of May 1, 1951. This oddity in the law occurred because the legislature changed the limitations period effective May 1, 1951 and provided for actions which could have been brought under the old law. In a will caveat, the court assumes that the will is valid. The will's challenger has the burden to prove that the testator lacked testamentary capacity or was under undue influence of another person. To have testamentary capacity, the testator must understand generally what property she owns, who would naturally receive her property after her death, that she was making a will and the effect a will has on her estate. For example, if the testator leaves her property to an unrelated person and doesn’t acknowledge in the will that her children would normally inherit, the will may be open to a challenge for testamentary capacity. A court can consider several factors when determining an undue influence claim. The court may consider whether the will disinherits family and whether the testator was in the constant care and supervision of the beneficiary. The court can also consider the age and health of the testator.